Bangalore: “Here’s to the crazy ones. The misfits. The rebels. The troublemakers… because the people who are crazy enough to think they can change the world, are the ones who do." It was in 1997 that Steve Jobs, stood before a giant image of Mahatma Gandhi and to these words launched the company’s epic recovery from corporate has-been to global icon. Fleeting inspiration was about all Jobs ever sought from India, a place, which according to his unauthorised biography, he found “intense and disturbing" when he visited 37 years ago. The first expansion of his mind, so to say, also came in India, where in 1974 he used the drug LSD. Jobs started Apple after returning from India. In the years that followed, he was alone among the world’s technology mavens to ignore India’s engineering talent. There was to be no Bangalore development centre, he paid no quasi-state visits and sang no paens to India and its importance to Apple. Gandhi briefly featured in Apple’s memorable “Think Different" advertising campaign, greatly admired for its creativity as it drew public attention to the company’s new products. In 1996, Apple abandoned a plan to hire hundreds of engineers for a technology development centre in Bangalore, where it did, briefly, run a customer-support call-centre. Jobs ended that quickly enough after complaints from dissatisfied consumers. Apple India is mainly a website that offers support for the company’s products. 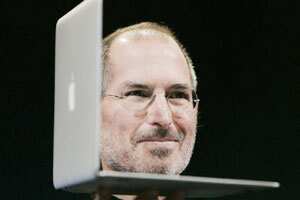 On Thursday, its home page had only an image of Jobs and a simple tribute: “Steve Jobs, 1955-2011. "Jobs dabbled early in eastern mysticism. His first experience of Indian culture came when as a penurious college dropout he had his largest meal of the week at a Hare Krishna temple in Oregon. “I didn’t have a dorm room, so I slept on the floor in friends’ rooms, I returned coke bottles for 5 ¢ deposits to buy food with, and I would walk the seven miles across town every Sunday to get one good meal at the Hare Krishna temple," Jobs recalled during a speech at Stanford University in 2005. “I loved it." Jobs’ experiments with Eastern mysticism led him to interesting beliefs. For instance, he thought he could eliminate mucus—and so the need to have a bath—if he ate only fruits. He started fasting, something he continued doing when he became a millionaire. In 1975, when working—he desperately needed money—at the video-games developer Atari, Jobs tried to persuade his boss to fund a trip to India. He was given enough money to reach Germany, where he fixed some Atari machines. When he did reach India with Daniel Kottke, a hippie friend from college and later Apple’s first employee, the search for spiritual enlightenment flopped. The guru they sought, Neeb (or Neem) Karori Baba, died before they reached him. “We weren’t going to find a place where we could go for a month to be enlightened," Jobs said later of his India sojourn. “It was one of the first times that I started to realize that maybe Thomas Edison did a lot more to improve the world than Karl Marx and Neem Kairolie Baba put together."